Is this the world's worst custom Acura NSX? The purity of the Acura NSX all but guarantees most of them won't have to endure the kind of awful customization that dooms lesser cars. All but. Two words. Two tones. Too many reasons to buy this NSX and convert it back. 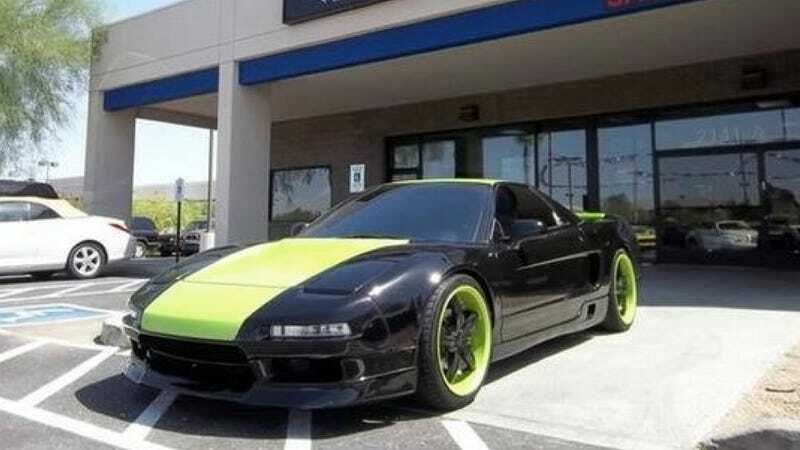 With a price of just $19K this 1991 Acura NSX for sale in Arizona is more NP than CP until you see the BS painted on it. Someone was apparently excited about the prospect of owning a piece of Japanese motoring history while simultaneously desiring a car modeled after the livery of Tommy Kendall's "All Sport" Trans-Am Mustang. Can someone please purchase this wonderful car and de-uglify it?